Val d’Isère and Tignes, together known as L’Espace Killy, have some of the best, most accessible off-piste terrain in Europe. Escape the crowds, discover the backcountry, and ski untracked powder while enjoying some of the most stunning scenery in the Alps. 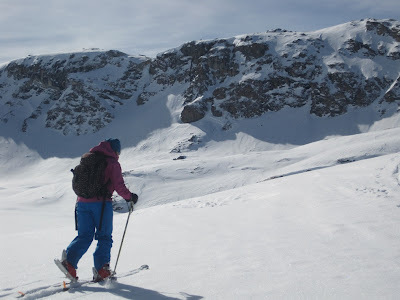 Introduction to off-piste lessons (1-5 people): If you are looking to go a bit farther afield, an off-piste lesson is a great way to get away from the groomed runs and explore new terrain in a safe environment. Ski beautiful pitches of pristine powder and learn about avalanche safety and off-piste technique with an experienced guide. Advanced Off-Piste/ Freeride Sessions: Enjoy all that Val d’Isère and Tignes have to offer. For advanced and expert skiers who have already done a fair bit of off-piste skiing, but want to take their freeriding skills to a new level. 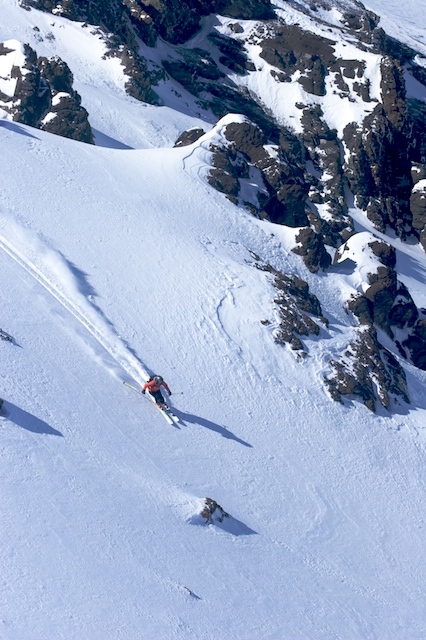 Learn how to ski more challenging terrain. Ski steeper pitches and couloirs safely and in control. Maybe even try some small jumps or cliff drops, if you’re needing a little adrenaline rush! Tarentaise Valley: If you would like to explore some of neighboring resorts, we can also go to Sainte-Foy, La Rosiere, La Thuile, Les Arcs, La Plagne, and Les Trois Vallees (Courchevel, Meribel, Les Menuires, & Val Thorens ). Heliskiing: Heliskiing trips are available in nearby La Thuile, Italy and Bonneval-sur-Arc. Avalanche beacon, backpack, shovel, and probe are mandatory for all off-piste sessions.